In October, I wrote about how I would get started with programming, knowing what I do today. With this post, I wanted to explain how I got started in game devleopment and programming. This all ties into the latest promotion that Microsoft has for students. I’ve been pushing for the return of Dream.Build.Play, an XNA compeition Microsoft ran several years ago, and below is information about its spiritual sucessor, //GameOn. //GameOn is a game development contest that gives students the opportunity to compete for a free trip and all access-pass to the 2015 Game Development Conference (GDC). Three teams of students with the best games will be selected. The deadline to submit your game to the contest is February 9, 2015. GDC is the world’s largest and longest-running professional game dev conference in the world. It’s how I got started in game development and programming. After I graduated from SUNY Oneonta with a BS in Communicatons and minor in Business, the economy collapsed. I figured I’d go back to school to get an MBA, and figure out what I wanted to do. While doing my night class MBA at NYIT in Manhattan, I was also working as a construction worker during the day. While flipping through the now defunt Game Developer Magazine, I saw an ad for GDC, and realized that if I was ever going to get my start in game development, that this was the place to do it. At lunch, I bought an expo pass, booked a flight to San Francisco, and grabbed a hotel. I knew absolutely nobody there, didn’t know a thing about game development, and had never touched a programming tool in my life. But I wanted to work in games! With the expo pass, I could at least visit the show floor and see the indies showing off their work, talk to large companies, and just listen to sponsored tech talks. I distinctly remember sitting in for a talk that Crytek was giving on updates to the CryEngine (this was right before the launch of Crysis 2). I had no idea of what they were talking about, but I took notes, and told myself that next year, I wanted to understand what they were talking about. And I did. When I returned that following year, I knew exactly what they were talking about, when covering 3D technologies. Actually, I started using Unreal Engine (UDK), after picking up these two massive books. 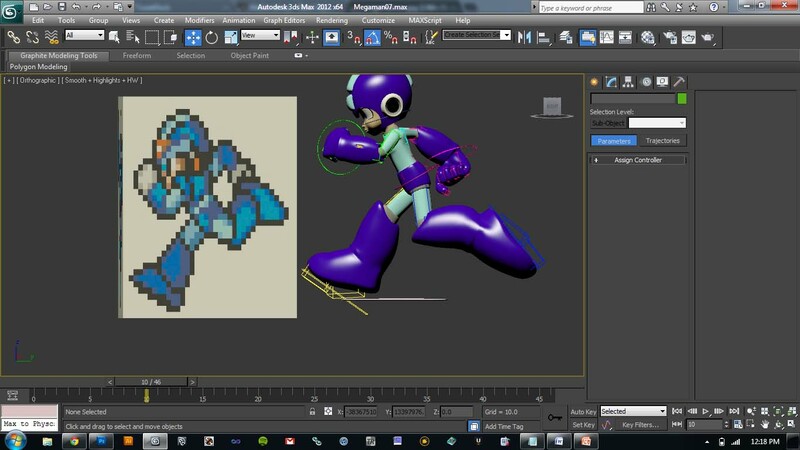 I even started to re-build Mega Man 2 in UDK, and wrote a book on how to program with the language. The technical knowledge translated well between the engines, though. I was hooked. I wanted to learn to program, because I realized that they were the ones with all of the power. in March of 2012, I started building games with XNA, in an attept to enter Dream.Build.Play. The result was Piz-ong, which is XBLIG (Xbox 360). In the following years, I would continue to attend GDC, and that’s where things really started to take off. I’ve met some incredible people from that, and other industry events, many of whom I remain close to today. I consider Matthew and Jason Doucette of Xona Games among my closest friends, and we exchange e-mails every day, all because we first met at GDC . I never understood people who say “I want to get into game development, but GDC is too expensive for me.” These are the same folks paying $50k a year to go to school, but aren’t willing to spend $1k on a trip to the bay area to meet with the best developers in the world. 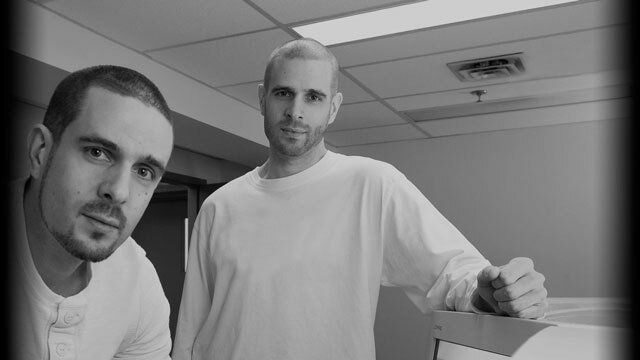 Jason Doucette (left) and Matthew Doucette (right) of Xona Games. Continue to attend GDC and other events as you get your foot in the door with game development. It further compounds your own knowledge, but also allows you to grow your personal and professional network, but also is a great life experience. Very few industries have an event as vaulable and personal as this. Take advantage of it, and attend. In the years that followed, I would also speak at GDC twice. The first time it was as a member of the press (you can watch it here), and the second time it was to cover the Indie Games Summer Uprising, a marketing campaign I assited in coordinating with other developers. A few years before, I knew nothing about the games industry, other than having played them my entire life. All of this came from attending GDC that one time. I look back on that often, because I now make my living in the tech industry, and my focus is largely on games. I absolutely love what I do, and this event is what catapaulted my interest and career in the industry. If you want to get started with gaming industry, I couldn’t think of a better place to begin. People are friendly, knowledge is everywhere, and the memories you make there last forever. It sounds cheesy, but I look forward to this week more than any other week all year. For more info, or if you have any issues registering, email StudentGameOn@microsoft.com. Love this article! I’ve shared your story so many times to friends wanting to get into the industry, in my own words as I see it. Glad to hear it from your perspective. I’ve already shared it out! Inspirational article, I want to go to my first GDC next year. Actually I’m not sure which tier I should go with. I think I can swing the “All Access Pass” but wanted to know (since I’ve never been before) would that be the best way to go for a “noob” that has never been. You can’t go wrong with any pass, honestly. I got the expo at first, largely due to cost. That may be your best bet, as the floor can keep you entertained for quite a while, especially if you are new to the industry. Lots of games to play, developers to speak with, and technology to try out. The indie booths are down there too, so you can see and play all of the IGF games. At night is when you do most of the networking. Even if you don’t drink, bring along some caffeine and stay out as late as you can, listen, and learn. That’s where all of the relationships blossom.